The SS Republic sank off the coast of Georgia in 1865 in a hurricane while it was heading to New Orleans. 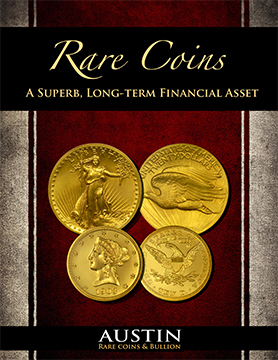 It contained a wide array of U.S. gold coins and, unlike other shipwrecks, contained thousands of Seated Liberty Half Dollars. Because they were stacked in barrels, the silver half dollars were not corroded by the saltwater and remained as-struck with remarkable detail and luster.